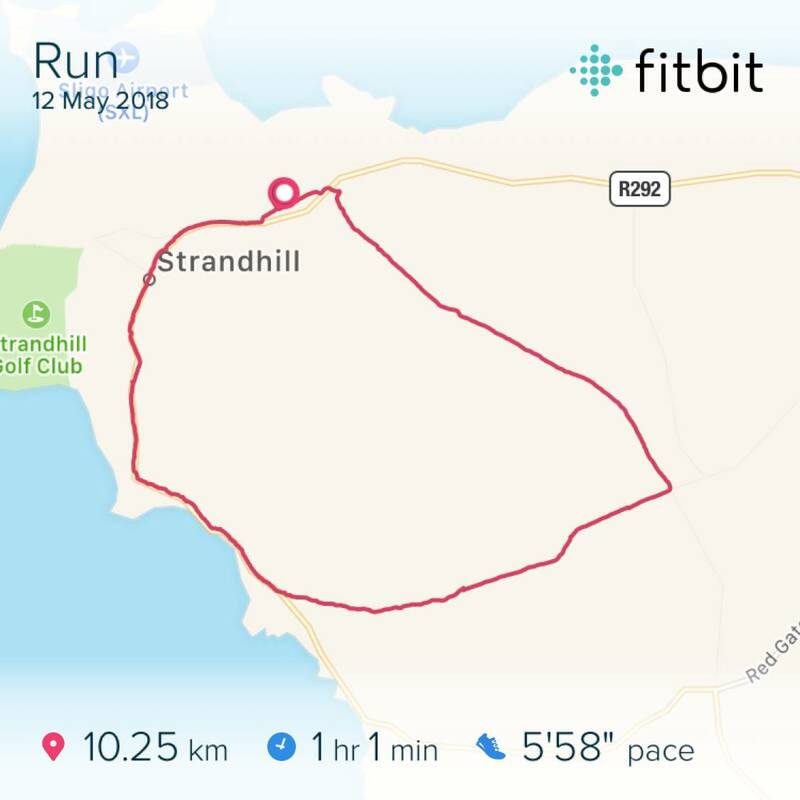 Saturday’s run was Tour de Knocknarea. A friend and I spent the weekend in Strandhill in Sligo. We had our own plans made for Saturday morning, mine being to run a loop around Knocknarea. It looked easy on paper, ten kilometres in a circle back to the start. Right? Hah! The southeast side of the run went over the shoulder of Knocknarea, a broad slope that runs off southeast toward Ballysadare. So, yeah, I did the run. I peed blood (lovely, yes) after I got back, as well as bleeding from both ankles they rubbed against my shoes. I am the blood monster. Given everything, my 5:58 pace over the distance was fantastic. Got back into Dublin this afternoon, arrived home, passed out dead asleep for three hours. I went out and ran at 10pm because I couldn’t wake up, but knew I wouldn’t sleep tonight. 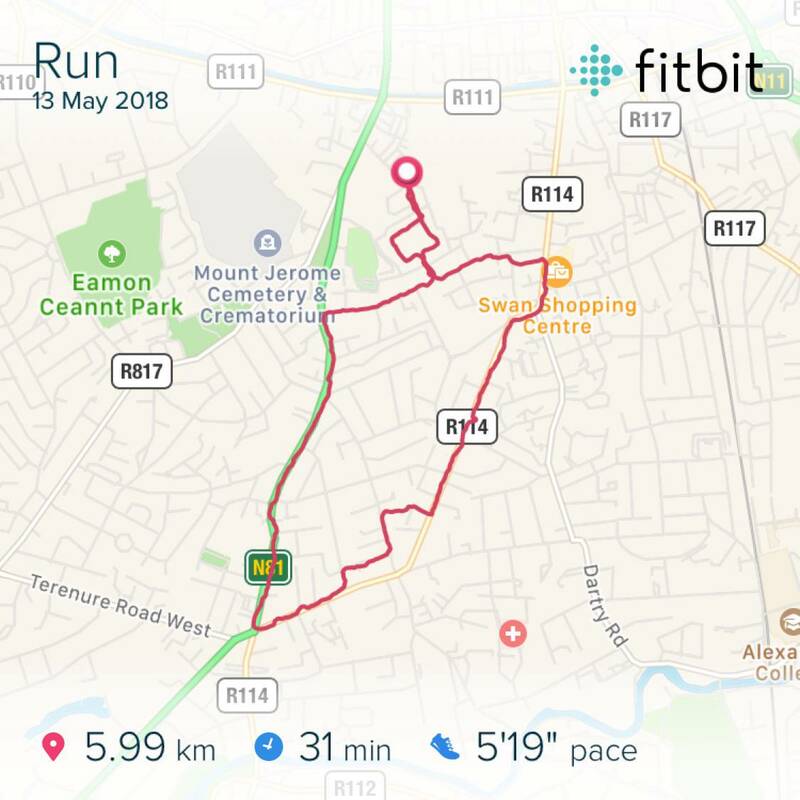 Again, I’m happy with the pace. It’s not as fast as some of my other recent runs (~5:04), but in the acceptable range.